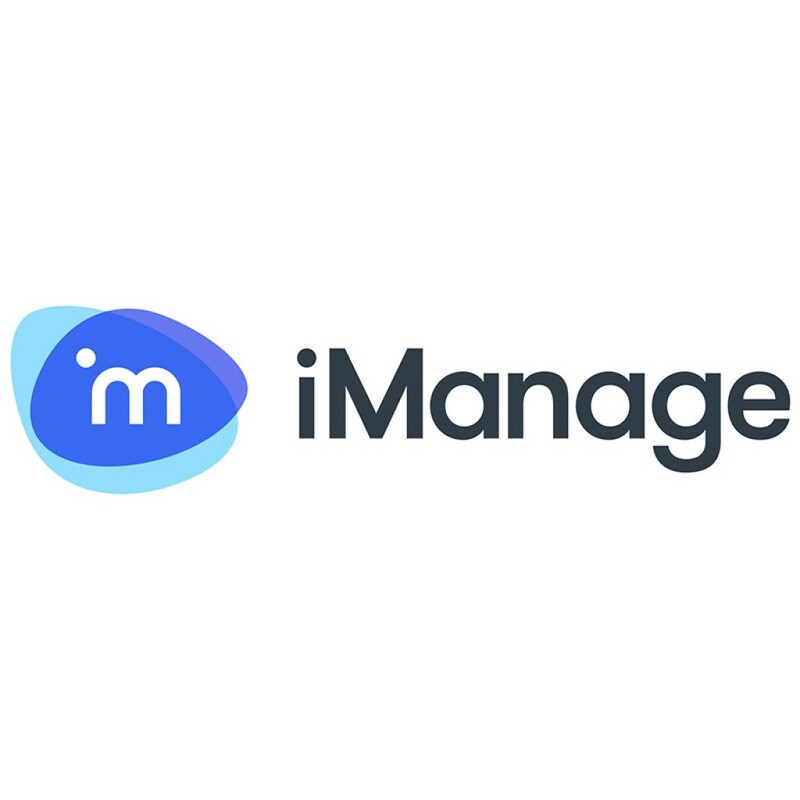 iManage Work 10 offers users the ability to access and manage their content through both a web and mobile platforms, and via a light-weight add-on for integration with Office and Outlook. The following features are available in the web interface. iManage Work 10 is designed with a responsive web interface so users have a consistent experience across different devices, which also ensures that users only have to learn once. Providing users a zero footprint, responsive web interface—accessible by desktop and mobile browsers—allows them to work from anywhere on just about any device without always requiring a dedicated desktop client or mobile app. iManage Work 10 offers simple and contextual Help tips that appear within the relevant view to highlight key new features. A blue icon next to the Help icon denotes that tool tips are available that have not yet been read by the user. This allows you to see all the documents you have interacted with in the last 30 days. By default, the list is limited to documents you have created or edited. However, the Activities Filter enables you to also display documents that you have downloaded, emailed, created a new version of, printed or viewed. The filter is sticky, so options selected are retained until you unselect them. In the Recent Documents List, a blue dot appears against a document to denote that the latest version of the document was edited by another user since it was last viewed. 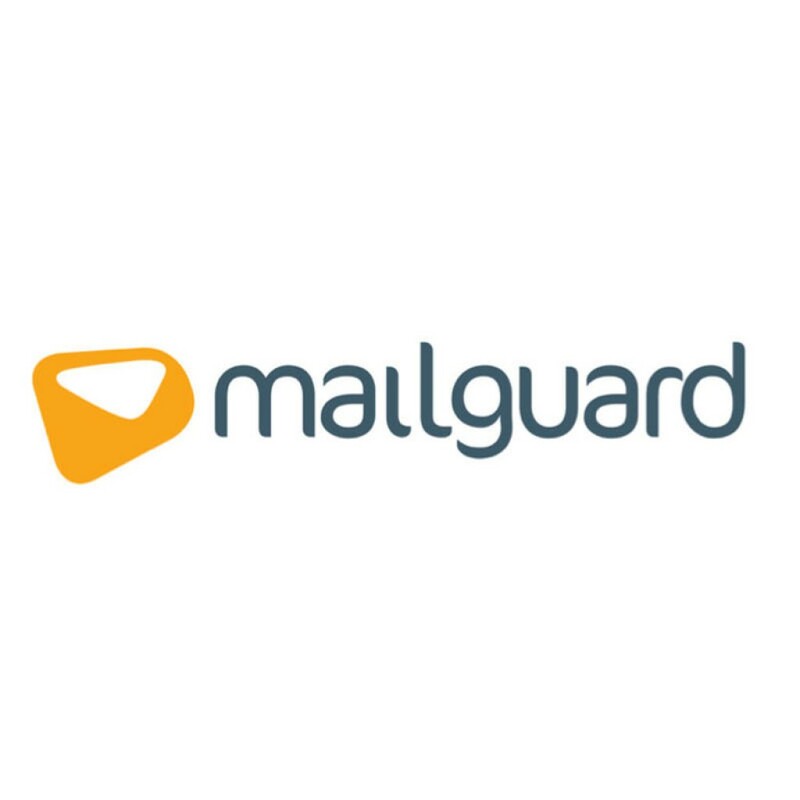 Contains any emails filed to the iManage Work Server where you were the Sender or were included in the To/CC or BCC fields in the last 30 days. This includes emails that other users have filed to the Work Server, security permitting. You can toggle between From Me/To Me to easily switch between emails you have sent or received. Recent Matters contain any document or email you have worked on in the last 30 days. From within the Recent Matters Tab, you can select My Matters to see all the Matters you have under here — this is the same as in the iManage Work Desktop Clients. After opening a matter from either of these lists, use the Latest Documents/Latest Emails filter to see the 100 most recent documents/filed emails in a single list within the Matter. Displays a list of clients that contain any document or email that you have worked on in the last 30 days. Click on a client to list all matters belonging to that client to which you have access. 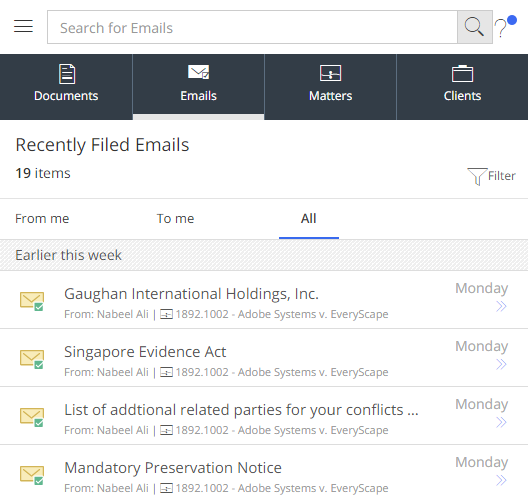 Use the Latest Documents/Latest Emails filter to see the 100 most recent documents/filed emails in a single list for the selected client. 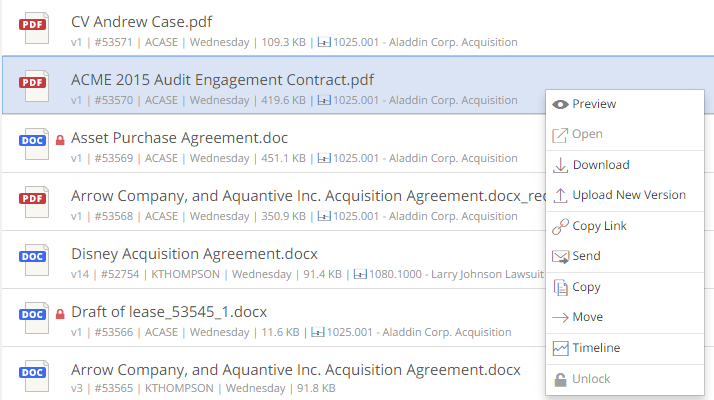 Details for the selected item in the results is displayed in the right-hand details panel, along with additional metadata, and the ability to preview documents and emails. The details panel allows users to view and edit the metadata and security of the selected item in the results view. Details panel can be docked to hide the view or undocked to display the complete results view. There are individual panels available in the details panel which displays more information related to the selected item. Having the details panel open on the right-hand side allows the user to quickly navigate through several documents or emails without having to open and view the documents one at a time. User can select a document and perform actions using the right-click context menu on a desktop. On touch devices, the same options are available via the kebab menu. • Preview – Opens the document in full screen mode for previewing. • Edit – Opens the document in the default authoring desktop application for editing. • Download – Downloads a native copy of the document version. • Upload a New Version – Allows the user to import a document as a new version into the DMS. • Copy Link – Allows the user to copy and paste an HTTPS link for the document version. • Send – Sends an attachment and/or a link to a document using email. • Copy – Makes a copy of a document. • Move – Allows the user to move the document into another folder. • Timeline – Displays a graphical representation of all the activities on the document. • Unlock – Allows a user to unlock a document version if it is checked out by the logged on user in another application. • Pages load on-demand as you scroll through the document. • Go to a specific page; enter a specific page number to go straight to that page and avoid having to scroll through an entire document. • Automatic loading of the same page when switching between different versions of the same document. • Click Next/Previous in Preview mode to skip back and forth between documents. User can select one or more documents from their computer and drag and drop it into a Work 10 folder. The new documents will copy the metadata and security from the parent folder. There is also an Upload File button within a folder that will allow users to browse and select single or multiple files if they prefer. iManage Work 10 also provides an Advanced Upload option that allows users to change the document information before uploading the document. The user can change the author, enter comments, change the name if the document, and make the documents private instead of copying the security from the parent folder when uploading files using the Advanced Upload option. 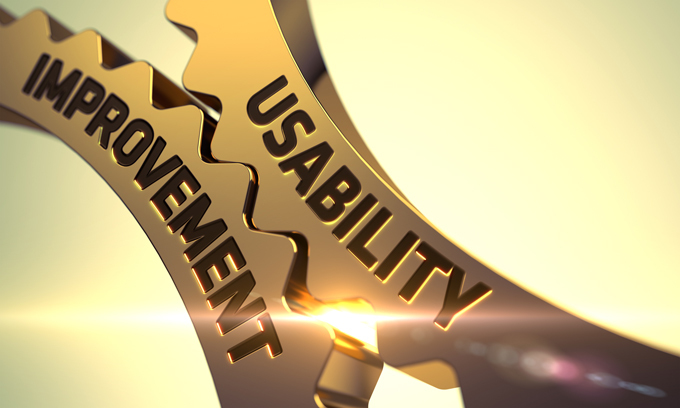 Users can also select a document and upload it as a new version of an existing document. 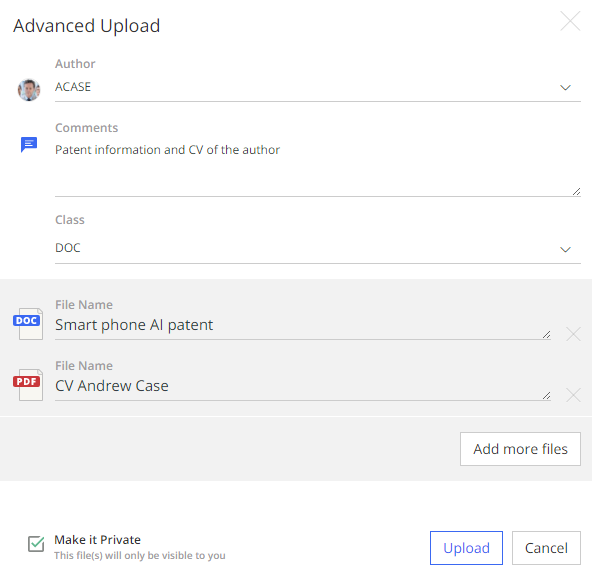 As when doing an Advanced Upload, users can modify the Description, Author and Class, as well as add a comment or make the version private to logged in User. Once the files are uploaded, user can view the file upload progress from the progress panel. Additionally, once the files are uploaded, they appear at the top of the list. A separate tab highlighting documents that need attention after Uploading is available to allow these to be reviewed efficiently when uploading many files simultaneously. If the user wants to make changes to the document metadata, they will be able to make the changes from the Details panel. If there are any required fields that need to be specified, the upload progress panel will tag the individual document as requiring attention. User can click the attention icon and supply the required metadata using the properties detail panel. If a user opens a document and a later version is available to them the user is notified that a later version exists. The user can easily navigate to the latest version. 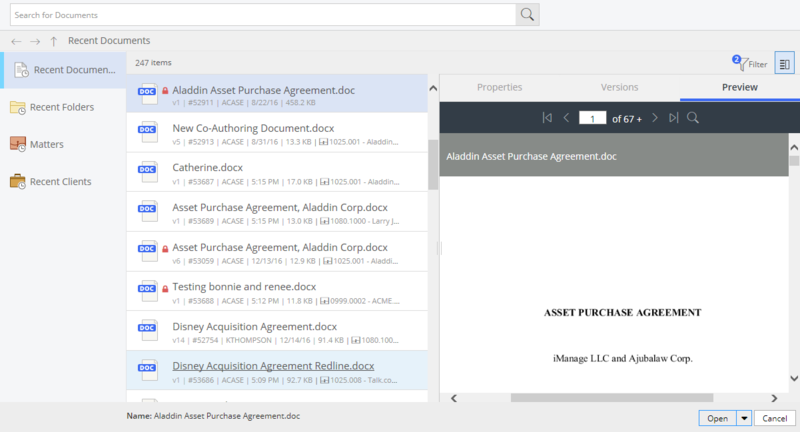 iManage Work 10 allows users to view the document properties and change it inline. This is an easy way to change the individual document field property. Users who have access to move or copy a document can simply select a single document and then move it or copy it to another folder. When the document is moved, the metadata is copied from the parent destination folder. In this case the security of the document will not be updated. When a document is copied and pasted into another folder, both the metadata and the security is copied from the parent destination folder. iManage Work allows users to open and edit a document straight from within Work 10 when viewing the document from a Windows desktop. The document will be checked out and opened in Word, Excel and PowerPoint depending on the document type. In Adobe, the document will be opened in protected mode. In Adobe Professional, the document can then be checked out by switching to Edit Mode. 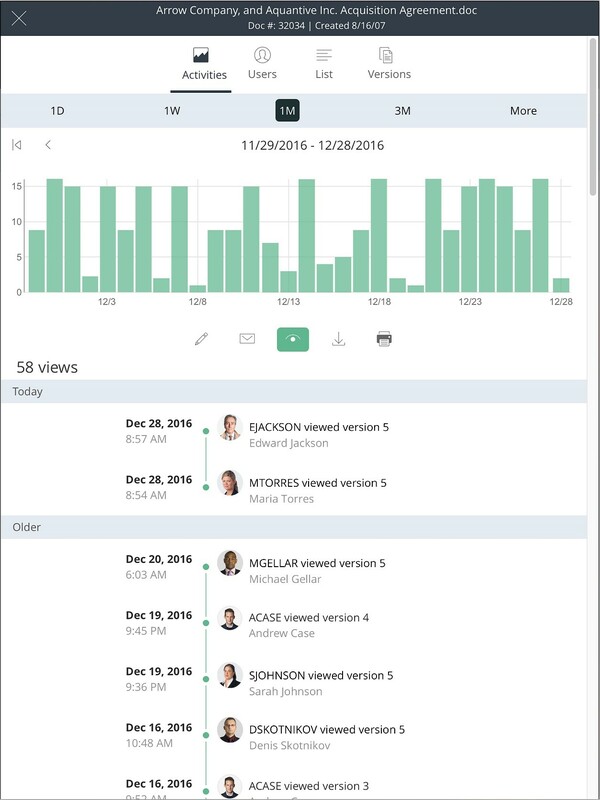 Document Timeline lets you see the entire history of the selected document across all versions at a single glance. This is available for documents (not emails) by clicking on the new Timeline icon in the Document Preview header bar. • Activities – Separates the Document History based on individual activities such as Edit, View, Print. • Users – Provides a list of users who have accessed the document and displays their individual actions. • List – Shows a standard list of all activities in reverse chronological order. 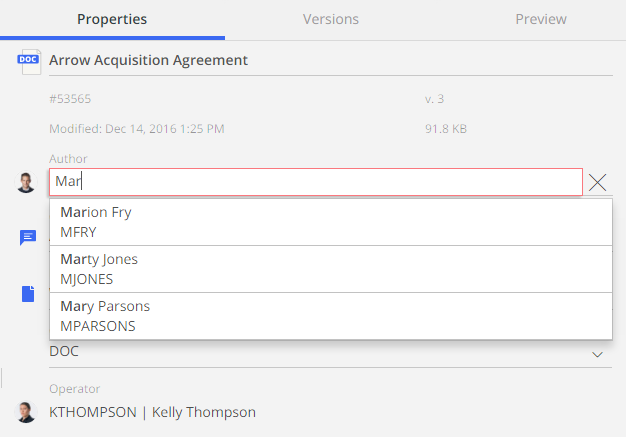 • Versions – Shows the document history for each version. The default view in Document Timeline is set to show the history from the last month. You can change this using the different date ranges provided. Since iManage Work 10 allows a user to access the same content from multiple devices from anywhere, users can unlock a document that was checked out/locked from another device. This ensures that the user can continue working on the document without having to check-in the document from the original device. Conversation threads for emails are displayed by default in your Recently Filed Emails and when browsing/searching within email folders. When forwarding/replying to an email saved to a workspace folder using iManage Work 10, a user can send a copy of the email to the same workspace folder if that folder has a valid WCS email address assigned to it. When you use iManage Work 10 to send an email, by default iManage Work 10 also sends a copy to the Sender by adding their email address to the CC field of the email. 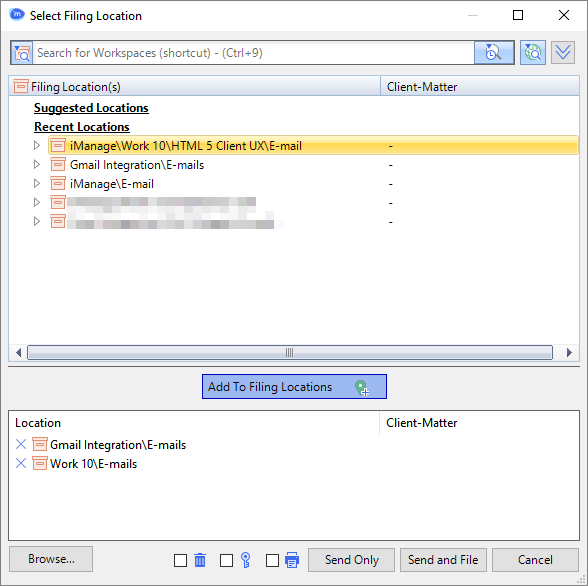 When a user sends a document or replies to a filed email, iManage Work 10 suggests email addresses as the user begins to type in the To or CC fields. These are based on the addresses found in emails filed to the workspace from which the email is sent. You can preview NRL links in filed emails to documents that reside on the same iManage Work Server you are logged into. When doing a database-wide search for documents or emails, the initial search results are personalized to the logged-in user. Personalized search limits the search results to content in matters in your Recent Matters list (i.e. accessed in the past 30 days). An All option is available to re-run the search without the personalized filter if required. Searching within a workspace or a folder only returns results within that container, which offers a more targeted search results set. To search the current folder and its sub-folders simultaneously, use the sub-folders in the Search Scope filter. Top 5 search terms are displayed during search allowing the user to quickly execute a previous search. The search results are contextual, which means that as the user begins to type, only the search terms matching the characters entered in the search field are displayed. A user can easily delete one of the previous searches from the list, allowing the user to only have access to the top 5 recent searches from the list. Recent Searches are unique to each search type, so users will see only searches they have carried out for workspaces under Recent Searches when the Workspace search option is selected. Filters enable users to quickly refine the results so that they can easily get to the items that are important. If the logged-in user also has emails sent by themselves in the results set, the Sender Filter lists them as “Me”. If the Senders filter is applied in your current location, and then additional search criteria are applied, the sender is still retained in the search results set and visible in the Search box until cleared manually. If you run a search using a partial senders name, for example From: John, the Senders filter shows “John:”. But you can narrow this by clicking on “John” in the filter. The filter then expands to provide a list of the top 5 relevant email addresses containing John available in the data set returned. If the logged-in user also has documents where they are the Author or Operator in the results set, the Author/Operator filter lists them as “Me”. If the Authors/Operators filter is applied in your current location, and then additional search criteria are applied, the Author/Operator is still retained in the search results. • In the Authors/Operators filters in Latest Document views/search results. • In the Document Info panel. • Next to the user name of the logged-in user. You can replace the user initials used as a default to identify Authors/Operators with pictures of the Authors/Operators. You can send HTTPS and NRL links to any iManage Work document from iManage Work 10. The links point to the version of the document from which you generated the link. 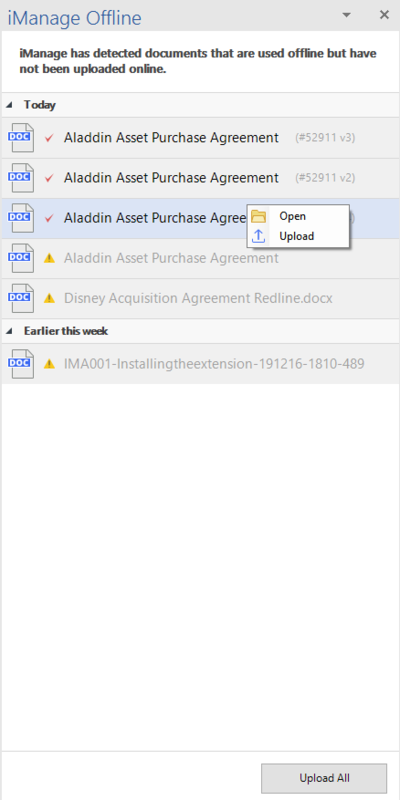 Use the HTTPS link to preview the document in iManage Work 10 from any device. You can also copy and paste an HTTPS link to documents, workspaces and folders when composing an email or authoring a document. For users with an active iManage Share account and relevant permissions to an iManage Share folder under a workspace, clicking the Share folder automatically directs the user to the iManage Share log-in page for that folder. For active iManage Share users without access to a specific iManage Share folder, clicking the folder displays a message that this is an iManage Share folder but they may not have appropriate permissions. For users without active iManage Share accounts, clicking an iManage Share folder displays an error saying “Oops, something went wrong”. When you open a workspace in the desktop view, a button appears to the right of the workspace name that indicates whether the matter is listed in your My Matters list and lets you add or remove it. 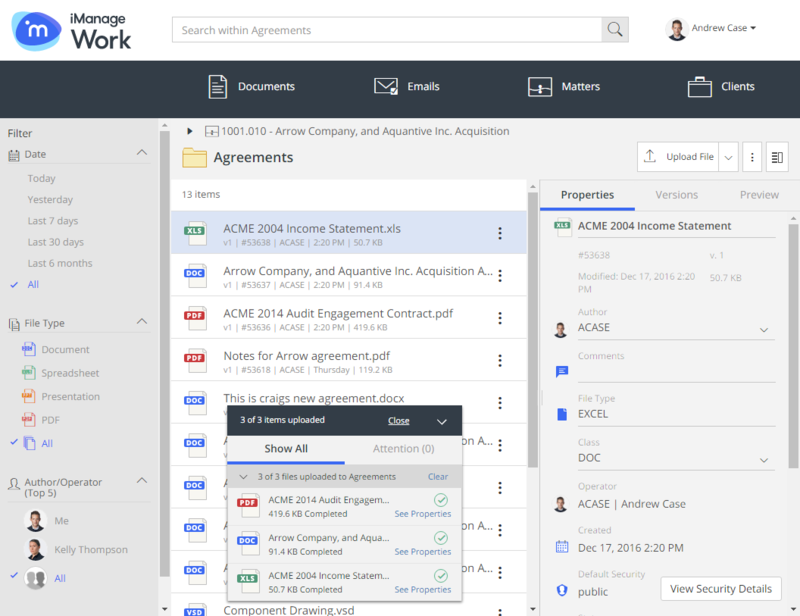 iManage Work 10 allows users to create folders within workspaces. 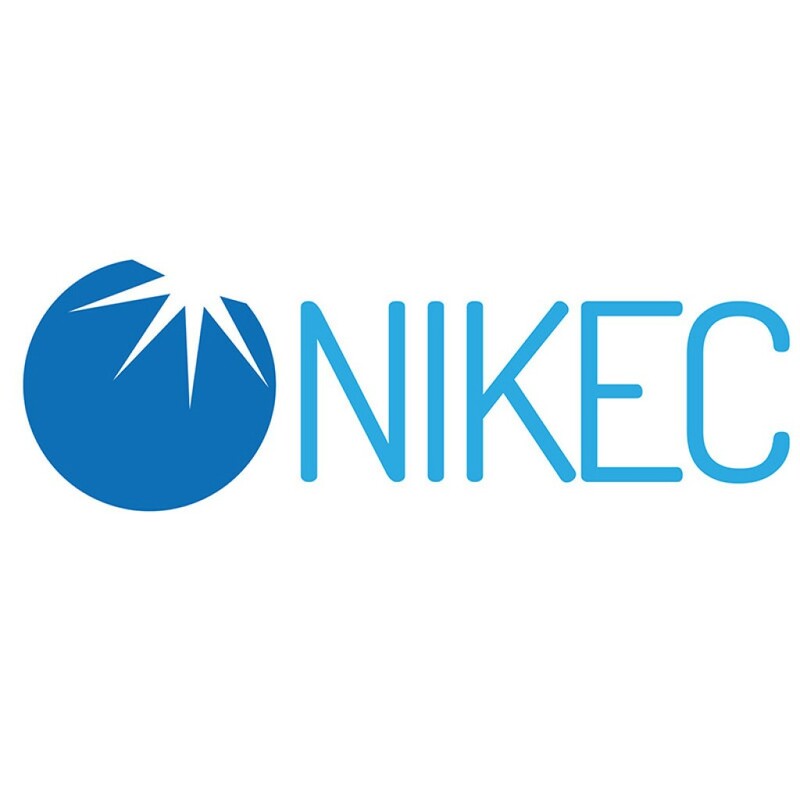 If firms have enabled Optional Folders, where users are only restricted to create folders based on a template, the user would get a list of templates to choose from for the new folder. If Optional Folders is not enabled, then users will be able to create a folder by simply entering a name of the folder from within a workspace. 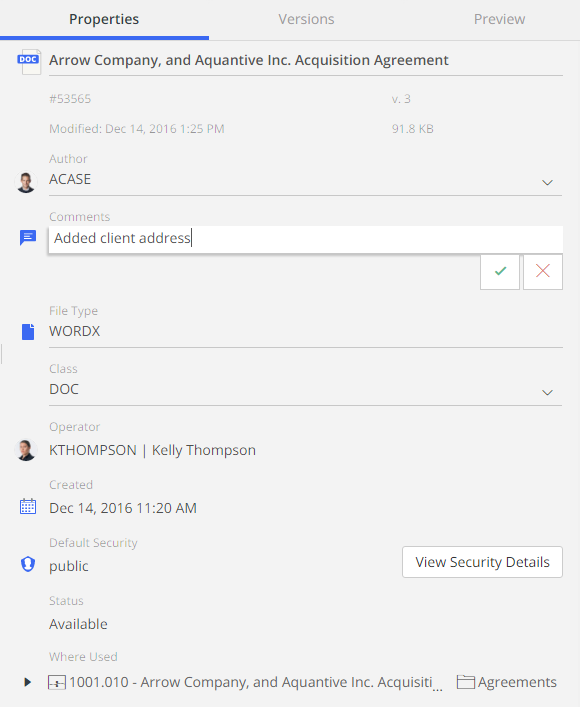 The new folder will have the same security as the parent workspace when created unless specified differently via the template. Users can view and change the default security and access control list for workspaces, folders, documents and emails (permissions allowing). When changing the access control list, you can search for individual users or groups and provide them granular access, such as Full Access, Read only, Read/Write, and No Access. If a group is added to the list, the user can quickly view the members of the group as well. 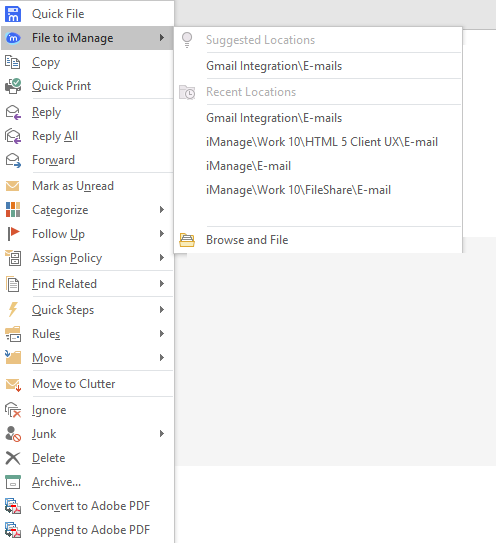 iManage Work 10 allows users to open a document using Office(Word/PowerPoint/Excel), & Adobe Professional from iManage Work without having classic Desktop clients (DeskSite/FileSite) installed on the user’s computer. The File Open dialog is being served up from Work 10 instead of being a classic File Open dialog. Allows user to save a new document to iManage Work. User can browse and file a folder and select it as the location for the new document. When a document is open from iManage Work, the user can make changes to the document and save it directly. When a document is open from iManage Work, the user can save the document as a new version. 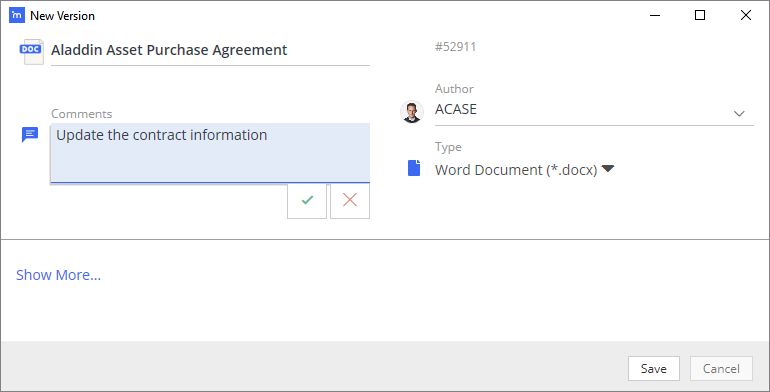 When creating a new version, they can select an existing document using the File browse dialog and then specify the document properties before saving it to iManage Work as a new version. iManage Work allows users to open a document from iManage Work and saved it as a PDF document. User can insert a footer to the document. 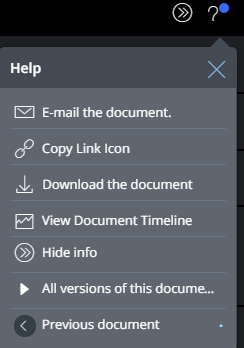 The Footer displayed the document name and number at the bottom of the document. iManage Work allows users to continue working even if they don’t have a connection to iManage Work Server. Users will be able to find documents that they have opened recently, edit the document and save changes locally. When saving a file, they can create a new document, new version or simply change the existing document. When the user goes back online, the list of files that were changed or created while offline is displayed to the user. User can upload the offline files to iManage Work when connected. iManage Work allows users to file an email to multiple locations when sending an email. The user can decide to not file the email by selecting the ‘Send Only’ option. When sending the email, the user can select a location from a Suggestion or Recent Location. 5 suggestions and Recent Locations are available to the user to select from. The user can browse and select a location if desired. • Delete – Delete the email after it has been filed. • Private – Set the security on the filed email as private. • Print – File the email and print it. If a suggestion is available for an email, the user can quickly file the email to the suggestion without needing to browse for a location. This only works when there is a suggestion available for the email. This functionality is available in the toolbar and from the context menu. When composing an email, the user can select to attach a document, a link or both the attachment and a link to the email from iManage Work. 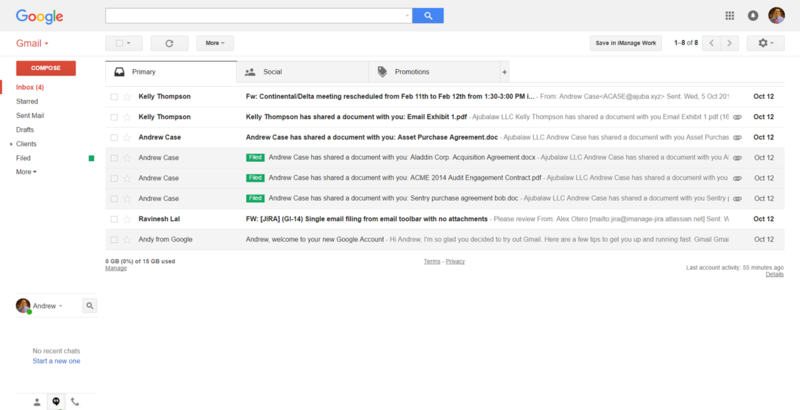 Displays the metadata of the filed email, such as where it was filed in iManage Work, and security information. If the user has appropriate permissions, they can change the security of the filed email. All the other properties are read-only. Display a green tick mark to indicate the email is filed. When the filing process is started, an hour glass is displayed, which changes to the green tick after the email is filed. iManage Work allows users to save one or more attachments from an email. 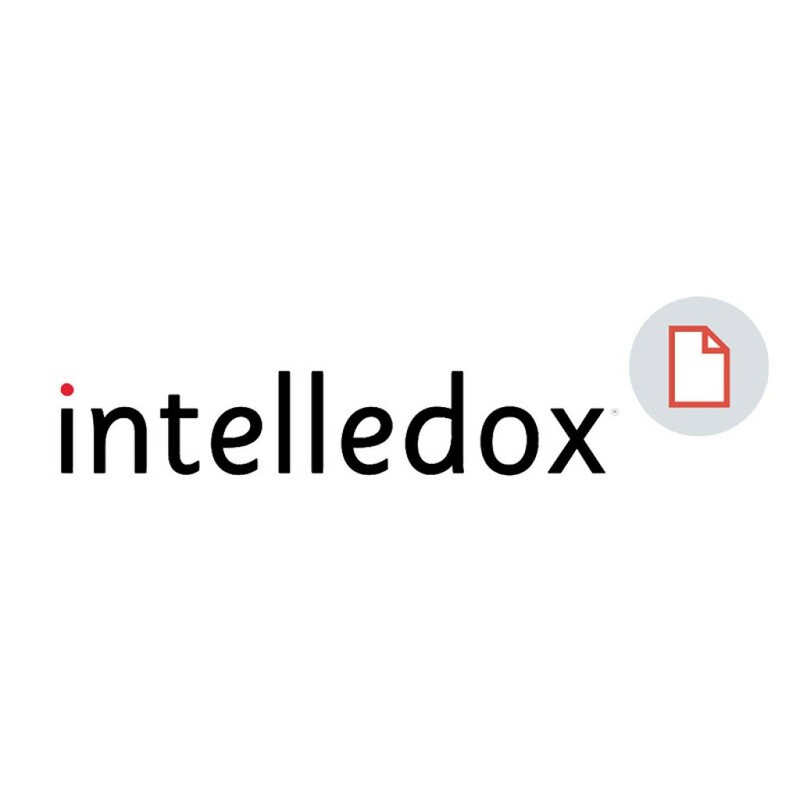 When filing an email during send, a luggage tag is applied to the subject of the email, which ensures that any conversations with this subject will automatically get filed to the original filing location. iManage Work allows users to link a folder from their inbox to a location in iManage Work. Once the inbox folder is linked, the user can simply drag and drop emails into the folder which will then get filed to a mapped location in iManage Work. 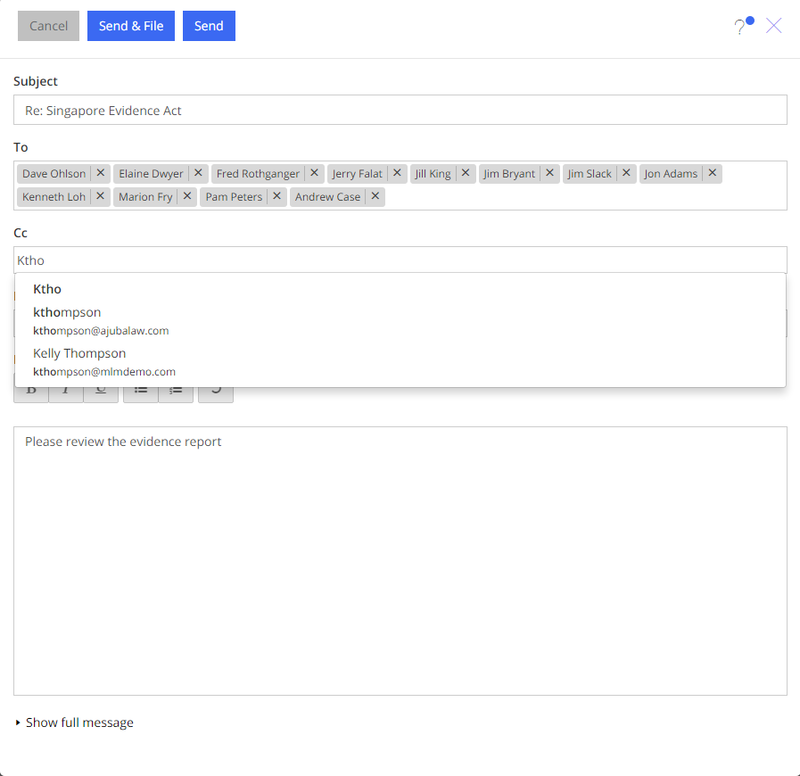 When composing an email, or replying to/forwarding an email from within Gmail, the user is able to browse and select one or more documents from iManage Work and attach the document(s) or a HTTPs link to the document(s) in the outgoing email. The iManage Gmail extension allows users to select one or many emails from Gmail and file it to iManage Work. NOTE: The iManage folder in which the emails get filed to need to have the ‘E-mails’ class applied to it. This will ensure the filed emails are displayed correctly as emails when viewed using iManage Work. The emails are saved as EML formats. 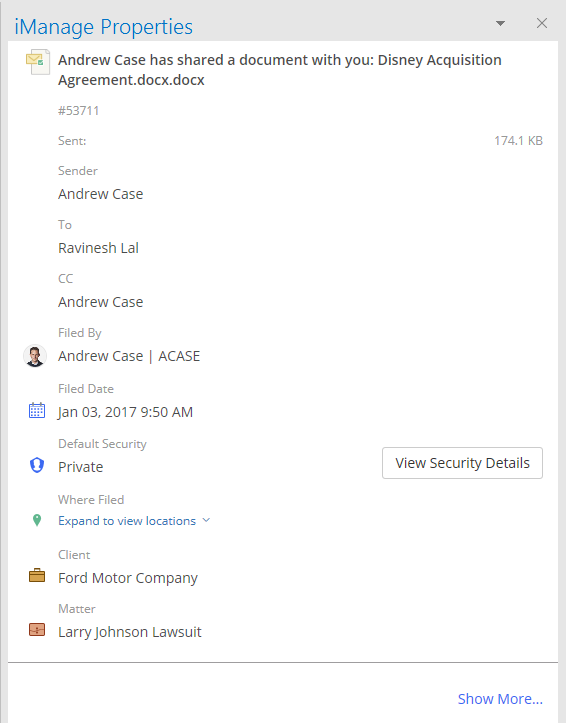 When an email is filed to iManage Work, a filed label is attached to the email to indicate that the email has been filed. Also, the user can refile the filed email to another folder location. 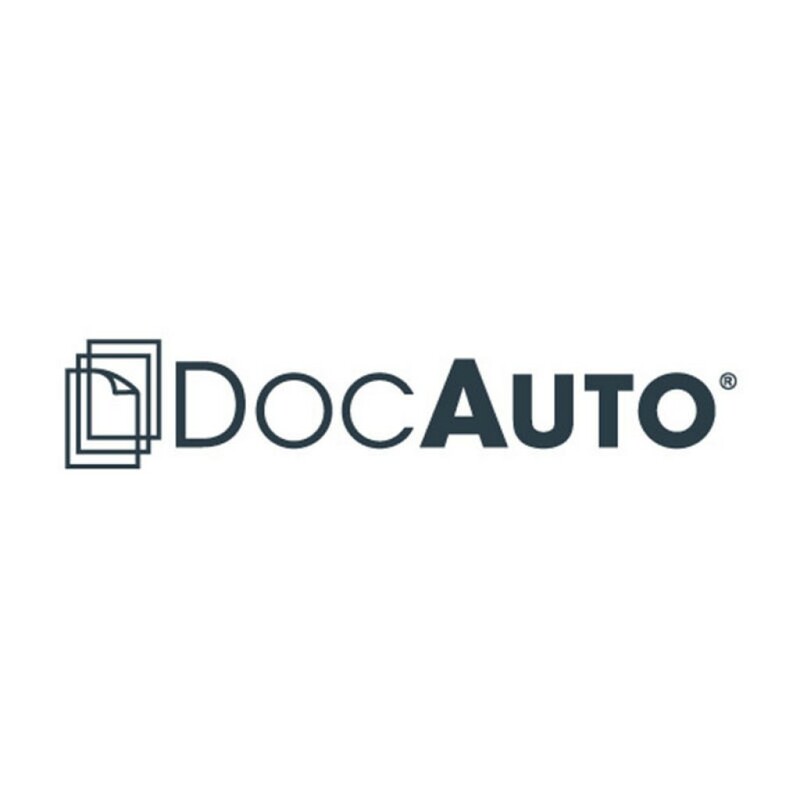 • New Version – Allows the user to first browse and select an existing version before saving the attachment as another version to the selected document. 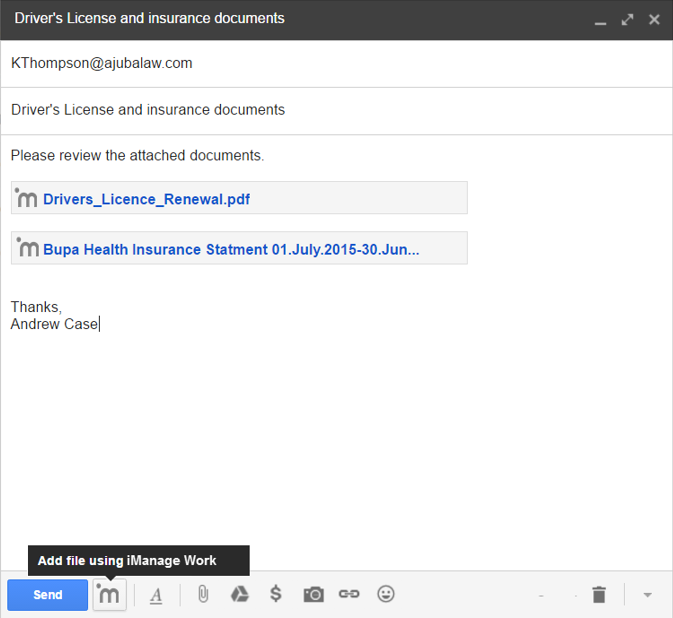 • New Document – Allows the user to browse and save the attachment to iManage Work. Users can save all the attachments at the same time or select individual attachments one at a time. 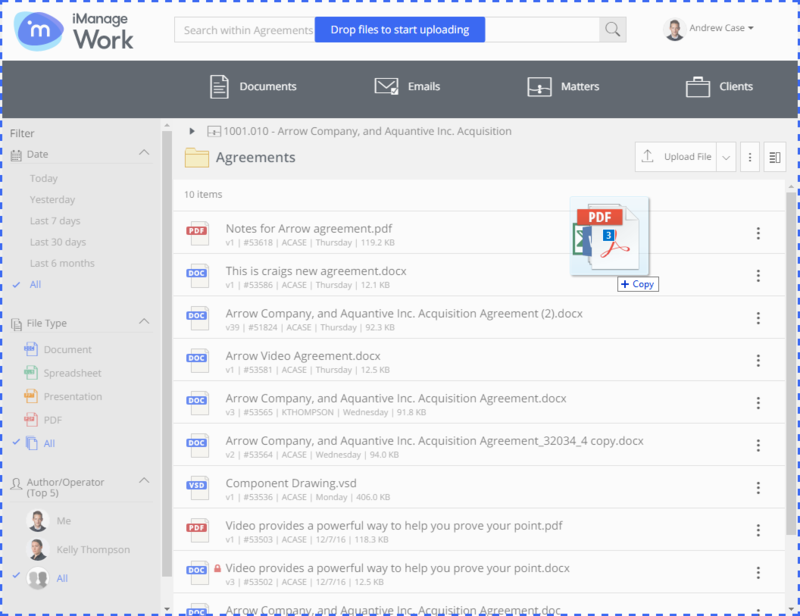 When saving all attachments at the same time, each attachment is saved as a new document in iManage Work. The new version option is only available when filing a single attachment.